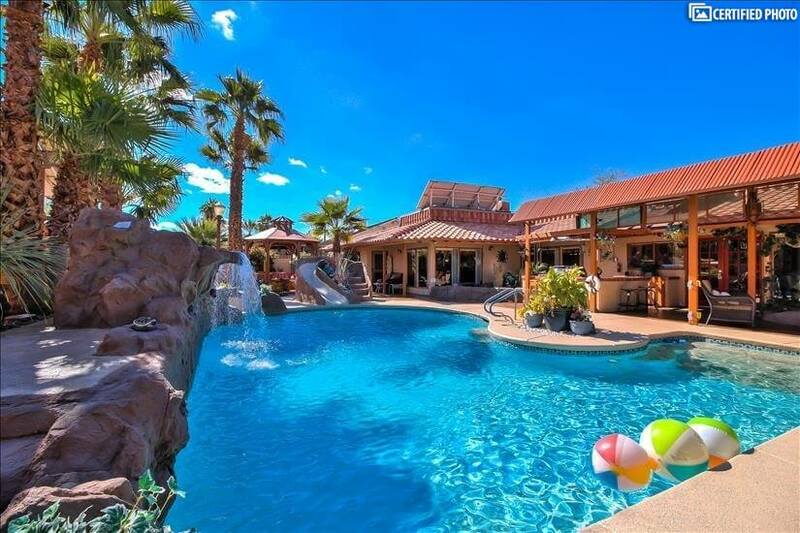 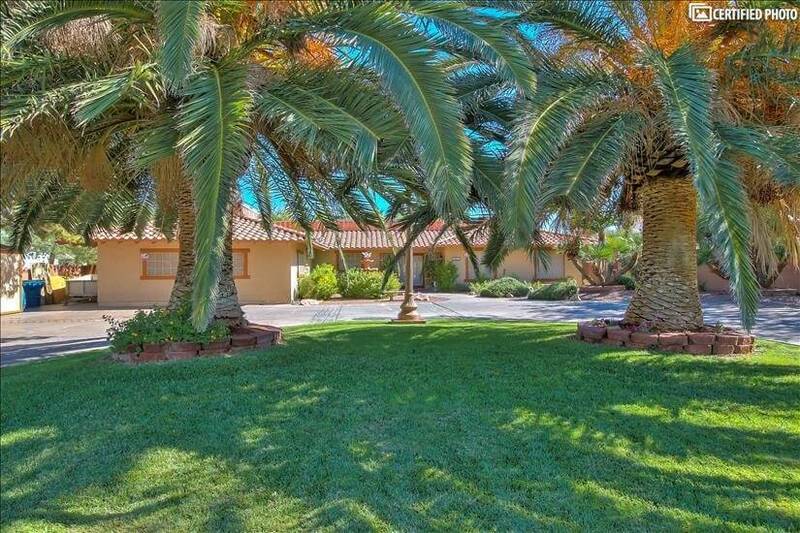 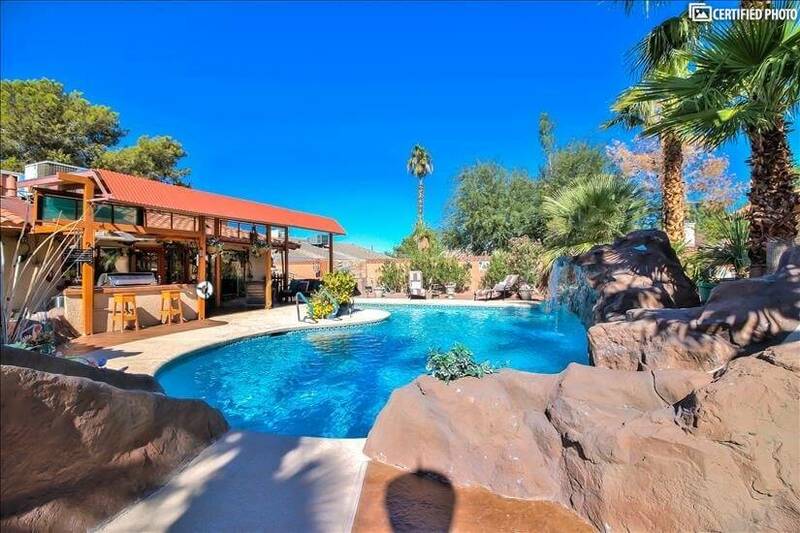 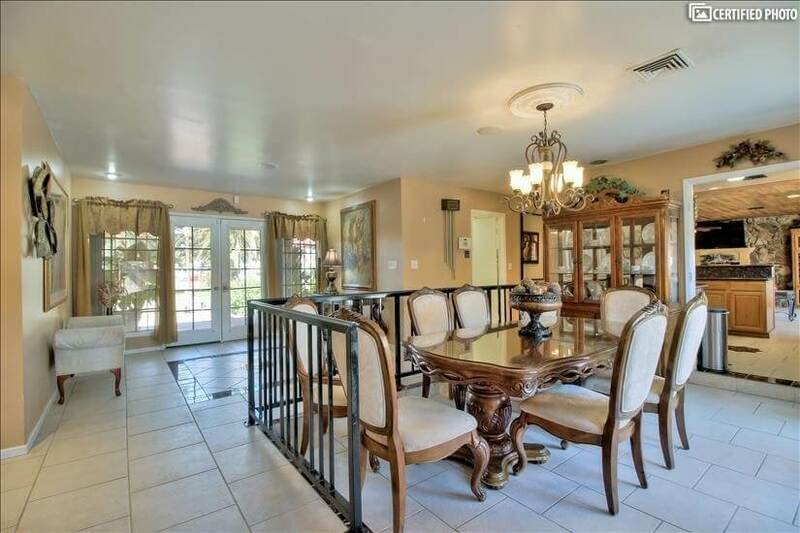 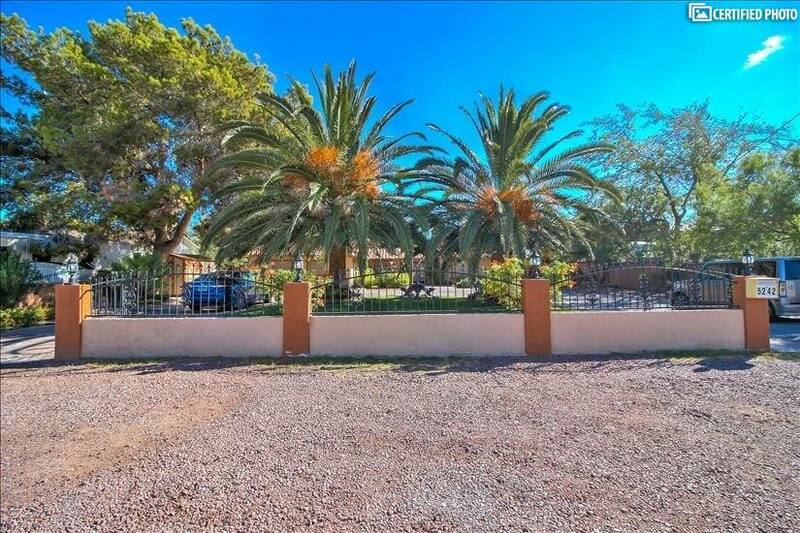 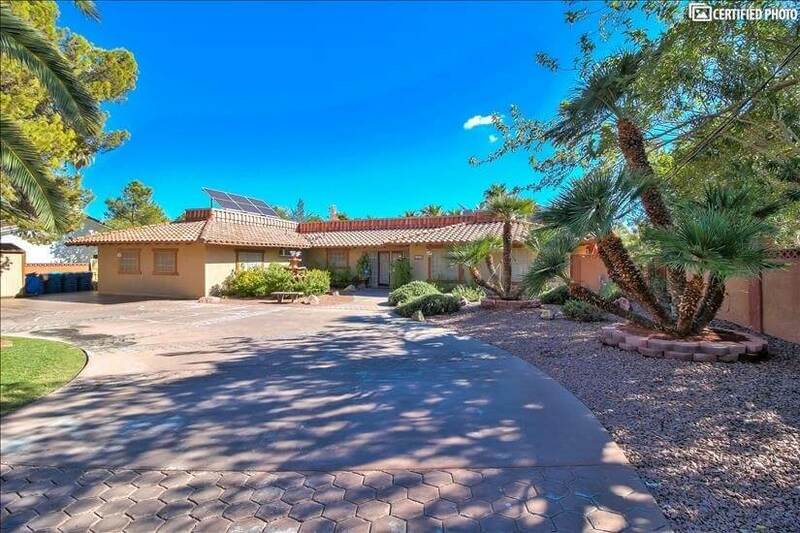 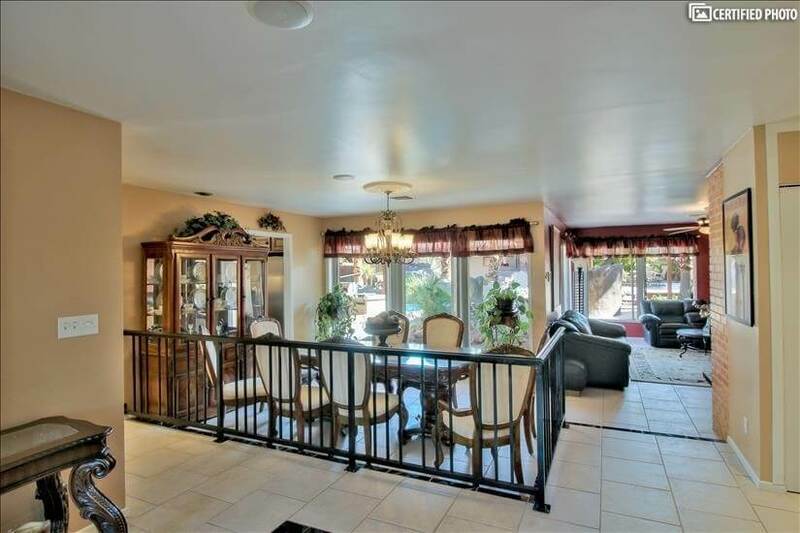 The moment you drive through the gates, around the circular driveway, and up to the marvelous home, youll be greeted by a beautiful front yard, graced with two massive Royal Hawaiian palms, vibrant green grass, and a lovely Mexican fountain. 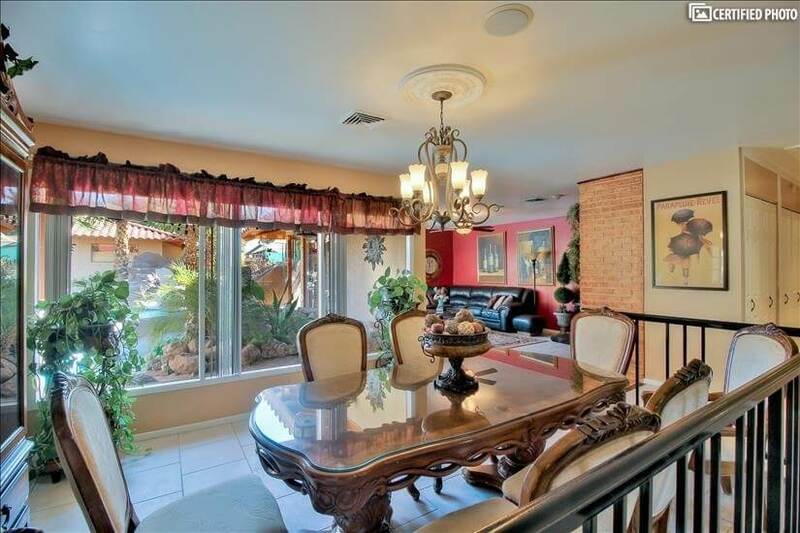 The interior proves to be just as welcoming as the exterior, with open, wonderfully-appointed living space. 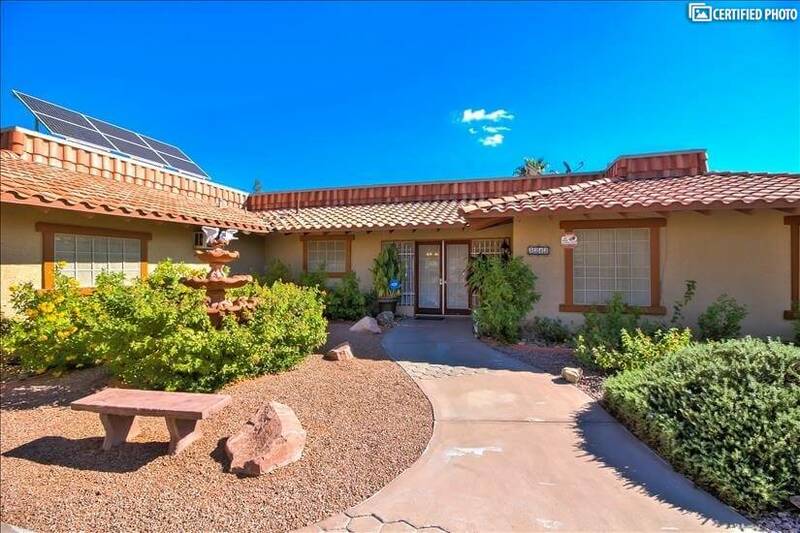 The recently remodeled main house, with five large bedrooms, three bathrooms, two living rooms, dining room, laundry room, and a fully equipped kitchen, can sleep up to 12 guests. 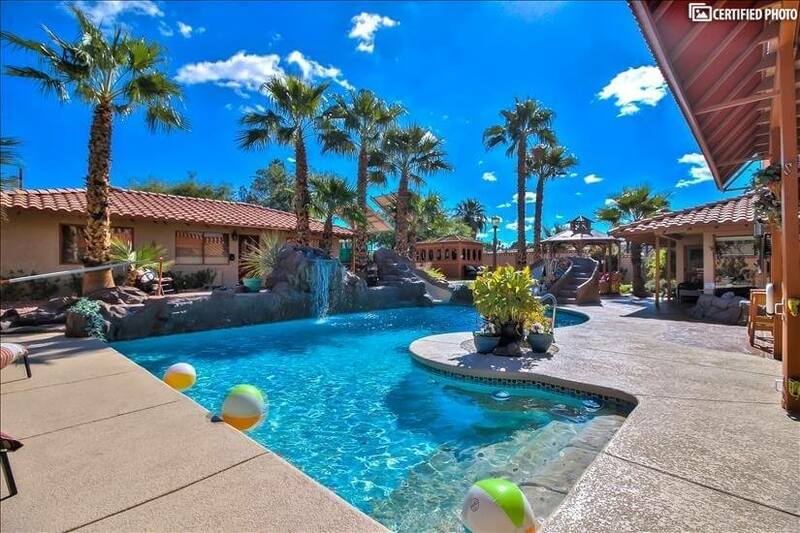 Featuring tiled and wood floors, ceiling fans, large floor-to-ceiling windows that reveal open views of the swimming pool, waterfalls, pond, and shaded barbecue area, this magnificent abode will not disappoint.